I really like the flavor combination of pineapple and pork. 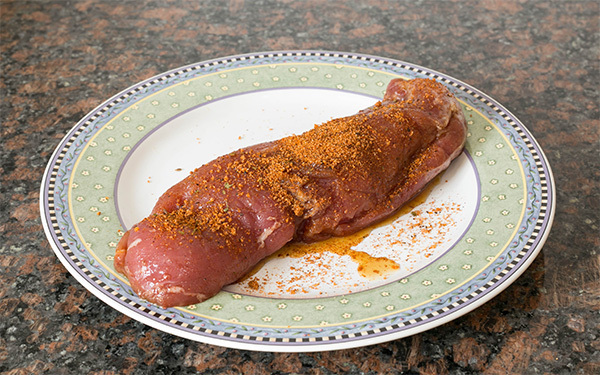 This is an easy 3-ingredient pork tenderloin recipe that you could create appetizer-bites with or serve as a main course. The addition of the five spice powder gives it a nice Asian touch. Skip the five spice powder if you can't find it as the recipe is just as great with just the brown sugar, pineapple, and soy sauce. This is ideal for tailgating or camping as you could bring the bag with the marinade and pork in an ice chest. 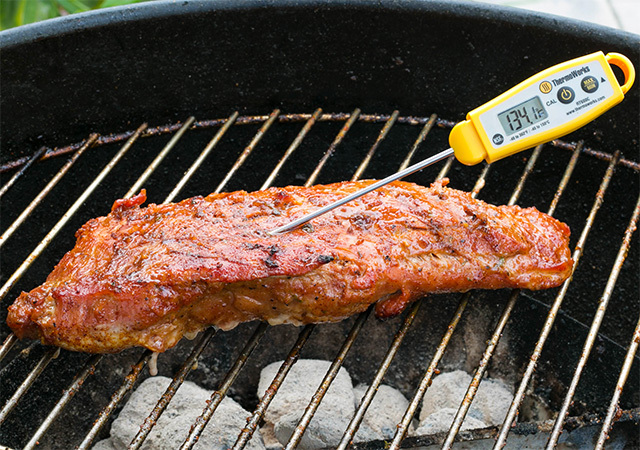 Once you grill it, you'll find yourself with new friends. It goes great with tortillas, pita bread, or some polenta. 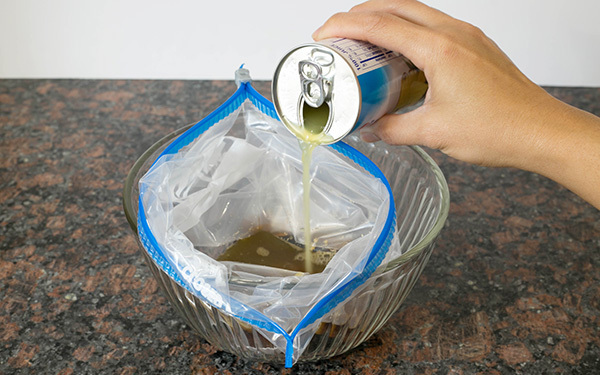 Mix marinade ingredients in a bowl and pour into a gallon plastic zip bag. 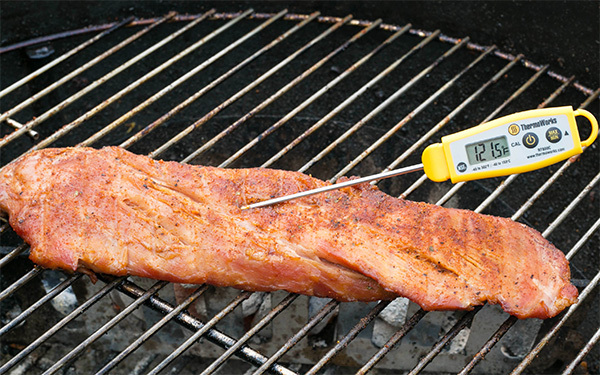 Trim any silver skin or excess fat from the pork tenderloin. 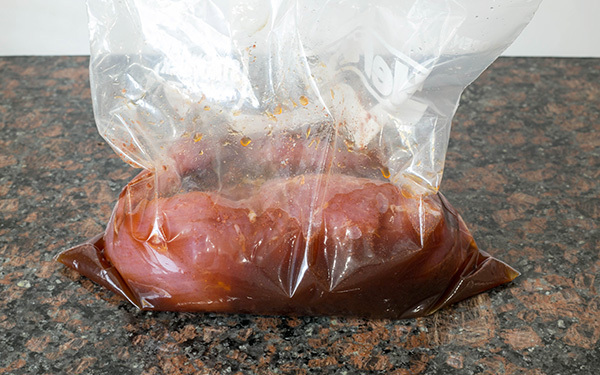 Place pork in the bag with the marinade and rest in fridge for 1 to 2 hours. Set up pit with hot zone and cool zone. Smoke indirect in cool zone until internal is 120F. 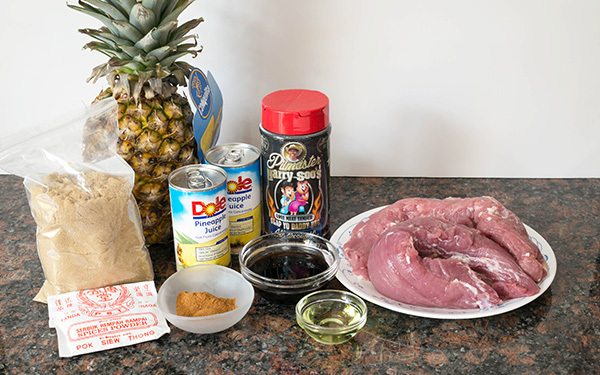 While pork is resting brush a little oil on the pineapple. Dust with brown sugar and cinnamon. Grill pineapple and get some char and caramelization. 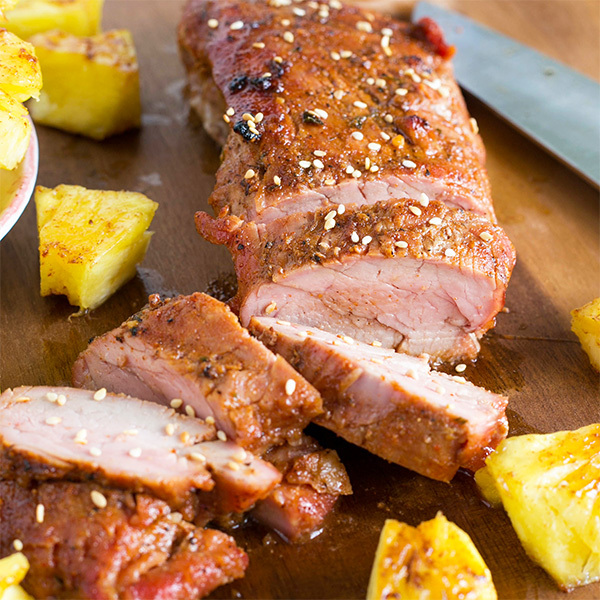 Serve the sweet pineapple with the pork tenderloin slices. Do I cook this in a WSM or a grill? Either one will work well. You can set up an indirect zone on the Kettle. Or, you can smoke on the WSM and then remove the barrel and char the meat with the top grate on top of the fire ring at the end.